Charles Dickens' fable about a mean old miser who learns the meaning of Christmas is one of the most picked-over stories in the Western canon. (Heck, we even covered a version of it last year.) But perhaps that's what makes it such a wonderful vehicle for the mischievous Muppets, finding ways to breathe new life--and a vaudeville flair--into a familiar tale. 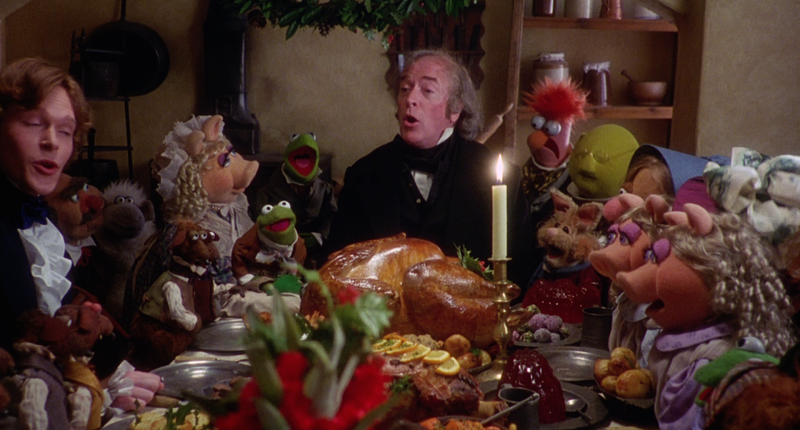 Much more than a holiday novelty, The Muppet Christmas Carol is an ingratiating insta-classic: one of the most elegant expressions of the ineffable "Christmas spirit" ever seen onscreen. Special guest Brian Rudloff joins us once more to see if we can make that spirit last all year. For more than a year, we've been winding our way through the Star Wars saga from Qui-Gon and Jar Jar to Nien Nunb and Mon Mothma, and everything in between. Now, with the debut of The Force Awakens just weeks away, our ongoing series culminates with Return of the Jedi. Both sublime and silly, Jedi is a stellar send-off for George Lucas' massively influential space opera. Special guest Brian Rudloff joins us to discuss this greatest hits compilation of all things Star Wars as we eagerly await the next chapter. May the force be with you! Our Bond blowout continues with the film that introduced Pierce Brosnan as 007... just in time for its 20th anniversary! We try not to let fond memories of the classic Nintendo 64 game cloud our judgment as we discuss the pros and cons of the Bond formula with our brothers from another podcast, Eric Wheeler and Sean Fau-Burnitz. Just in time for Mischief Night, it's a bonus double feature episode starring the celebrity who best embodies the season's brew of impish glee and creeping anxiety: Michael Jackson. The King of Pop's iconic Thriller set a new standard for the music video, taking a serious approach to its scary subject matter with a noted horror director (John Landis) and a legendary makeup artist (Rick Baker). Years later, Jackson tried to capture that magic again with the lavish, bombastic Ghosts, this time invoking the personal boogeymen who criticized his eccentric lifestyle. Do we think MJ's Halloween offerings are tricks or treats? Find out in our 2015 Halloween Special! Bill Pullman and Christina Ricci ain't 'fraid of no ghosts in this underrated adaptation that takes some of the most anodyne characters in comics history and drops them into a zany, pop-culture quoting haunted house farce. 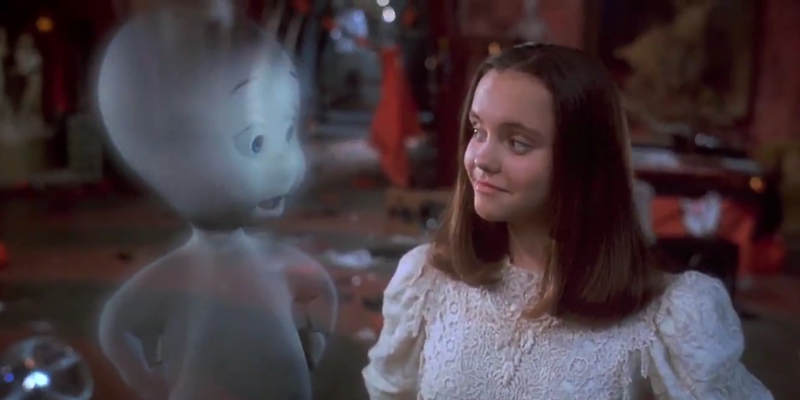 Showcasing cutting-edge (for the time) CGI characters, Casper takes advantage of movie technology to bring the dead to cartoonish life while sneaking in some wry gallows humor and a surprisingly mature message about grief and letting go of loved ones. So please, remember us this way: waxing poetic about yet another '90s film featuring Devon Sawa.